At TPW™ we believe that the quality of our service needs to match the quality of our product. We continually try to challenge the norm and to be different where we can. We want to be a company that makes realistic promises and then delivers on them. 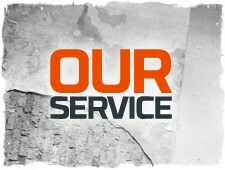 We also want to give you the type of service WE expect and demand when we are the customer. At the same time we are also realistic and we know that we are a young company and perhaps do not have as much “buying power” as some of the bigger boys. We realise that to achieve the level of service delivery and quality we want, it’s going to cost us more, however this is a cost we are happy to swallow if it allows us to deliver our vision - a service that does what it says on the tin and exceeds where it can. We understand that as good as our service might be the real measure of a company is how it reacts when things don’t go according to plan. We have invested heavily in our Customer Services team and its staffing includes trained sports nutritionists. We won’t leave you hanging on the phone for hours, we won’t ignore your emails, we won’t guarantee to get back to you and then not. What we will do is promise to resolve your issue within 24 hours and to always keep you informed of how we are progressing with your problem - we will call you so you don’t have to chase us. We're always here to help and advise on anything to do with our products and sports nutrition in general, so if you have any questions then feel free to give us a call. We are so confident in the quality and efficacy of our products that we offer an unprecedented Money Back Guarantee across every product in our range. We want you to feel comfortable buying from us, safe in the knowledge that should you have any issues we offer you a Money Back Guarantee. As long as the vast majority of the product is unused, we will take it back from you and either swap it for another (same value product) or credit you. The only thing we ask is that if the reason for your return is down to you, that you pay for any carriage involved. We want you to be 100% satisfied with your TPW™ experience. At TPW™ we have looked at every aspect of our business to find ways of improving your shopping experience with us. We have even designed our own outer boxes specifically to help protect your goods and to give your order the best possible chance of arriving safely. Not the most exciting thing in the world we know, but hopefully something small that ensures your TPW™ order arrives in great condition and safe and sound.